This website is dedicated to providing tarot readings using Aleister Crowley and Lady Frieda Harris' Book of Thoth in its purest form, using Crowley's original meanings. 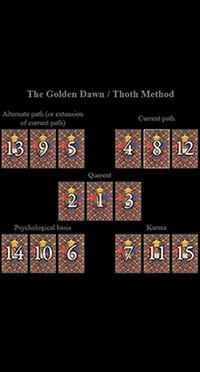 Several methods of reading are available, including the famous 15-card Thoth method. 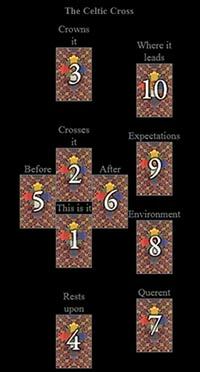 Readings here do not include reversals, as the cards were designed to be interpreted by elemental dignity. For more information, check out the About page. For Crowley-Thoth readings with alternate meanings, click here. 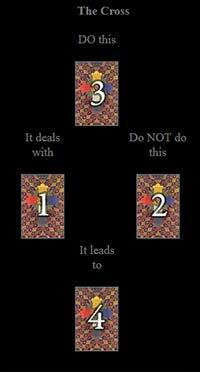 Pulling just one card is the simplest method of reading. 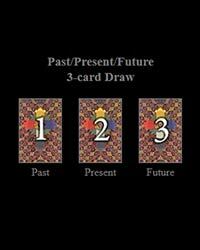 This is a three card reading intended to shed light on what is, what was, and what will be. This spread is good for advice. It can also be used to determine the meaning of a confusing card from a previous reading, or to shed light on other points of confusion. This spread is used to enhance self-awareness. No question is necessary, or questions about learning something about yourself. For this spread the querent asks for suggestions on how to behave properly in order to achieve a desired result. The Current column shows how you have been acting, and the Suggested column suggests how you should act in order to achieve your desires. 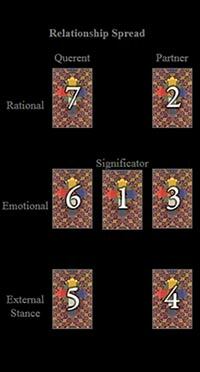 This is a standard relationship spread between 2 people, divided into rational thoughts, emotions, and external stance. Court cards generally indicate actual people with the same characteristics. 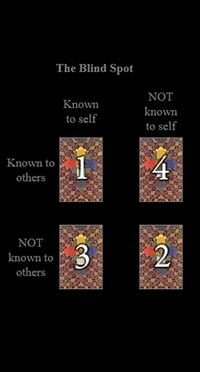 This is an old classic tarot spread, more advanced than the Past, Present, and Future reading, yet simpler than most other spreads, it is a versatile method that can be used for many questions. 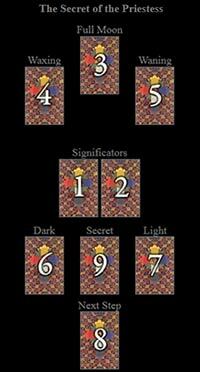 This spread is useful for going into the background of a current trend, with the potential of a special secret to be revealed after the rest of the spread. If the ninth "Secret" card turns up to be of the Major Arcana, then this card bears a special message from the Priestess. 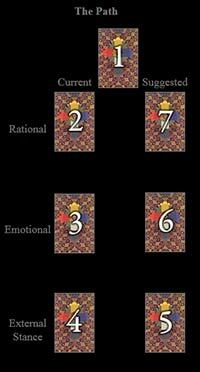 If the ninth card is a Minor, it should be disregarded. 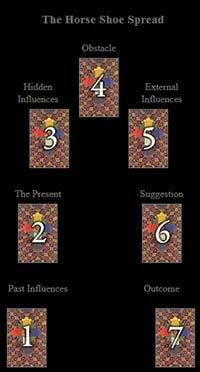 This advanced 15-Card spread was the method employed by the Hermetic Order of the Golden Dawn. It is probably the most difficult spread to read, but perhaps also the most informative overall. The Celtic Cross is good for questions of all types. It is a good basic spread for beginners which covers a lot of ground. It is also the most commonly known and used spread. 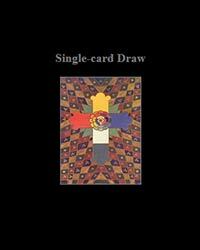 Interested in other forms of divination such as numerology, playing card reading, or Tibetan Mo? Check out Tarotsmith Divination. For Crowley-Thoth readings with alternate meanings and other tarot spreads, click here. Copyright © 2018 Crowley-Thoth.com. All rights reserved.